So this is my idea of a professional manicure. 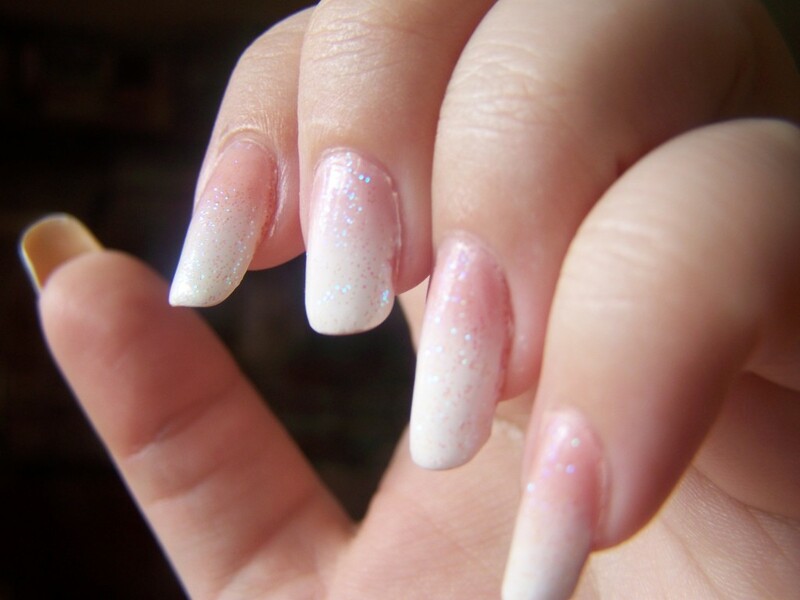 I’m going on a business trip to Boston, and I wanted a manicure that was office-friendly without giving up glitter. Here I am, having my cake and eating it too. It looked different in my head, but I’m pretty happy with the result. 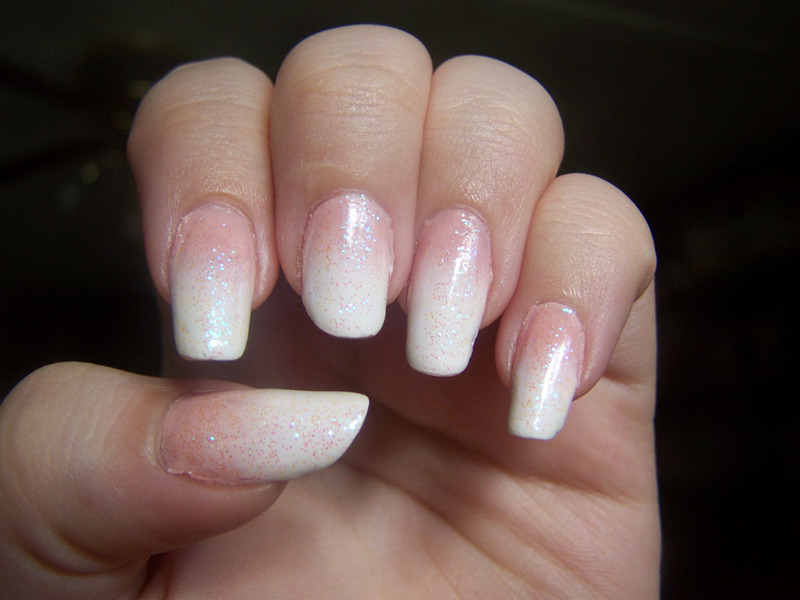 From a distance, it looks like the traditional French manicure, and the glitter is hardly noticeable. I tried to be professional while still being myself, but I may have done better than I thought. I still can’t get over how long my nails are. That Julep polish was full when I started. I love the way this turned out, but I do wonder if it’s time to graduate to three colors, since my nails are so long now. With only two colors, it just looks a little lacking. Shiny as hell, though. 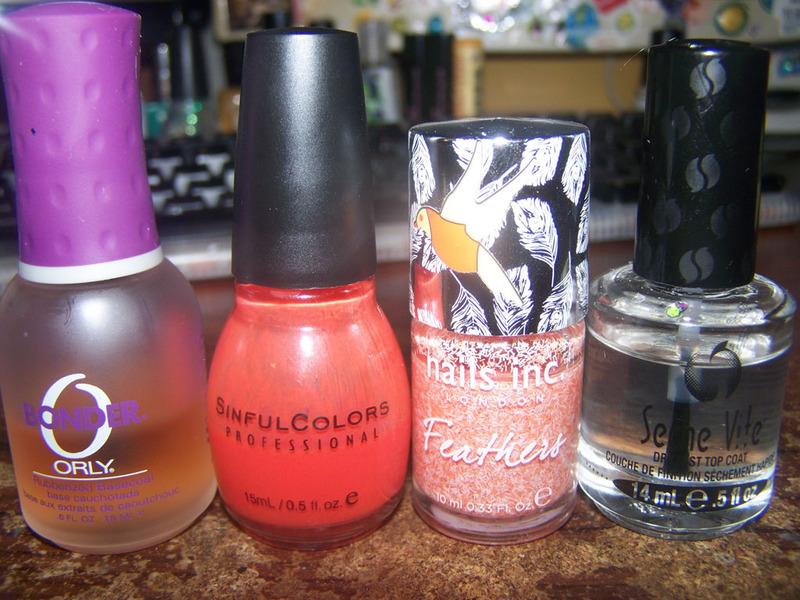 I ran out of Out the Door last week, and went back to Seche Vite. Now that I’ve gone back to it, I might have liked Out the Door better. I spend way too much time thinking about and writing about topcoats. This was unintentional, but it’s E3 Week, and the gold shade is called Zelda. I swear I didn’t plan that. 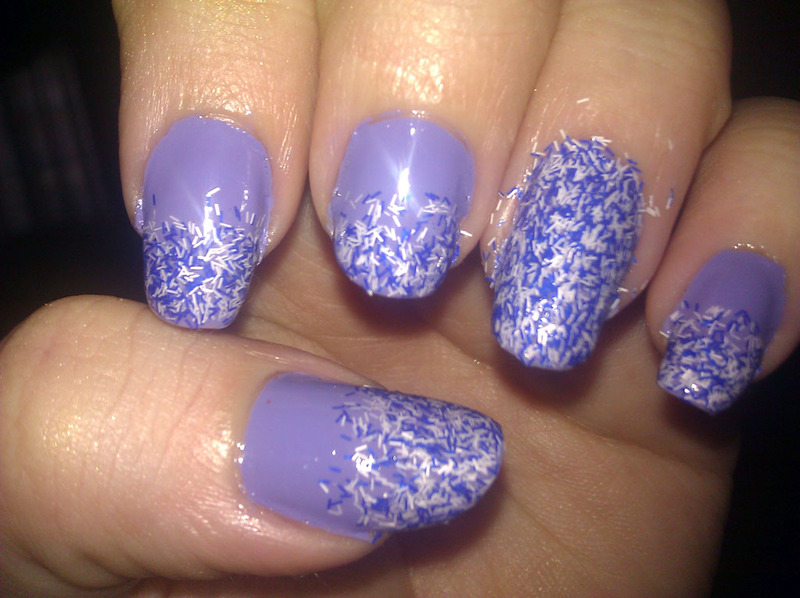 This might be kind of a departure from what I’ve been doing with my nails lately. It’s been a really long time since I had a solid color without any embellishments, and I’ll look at them and think “Hey, dots” or “I should try those decals” and then I tell myself to stop because they’re fine. 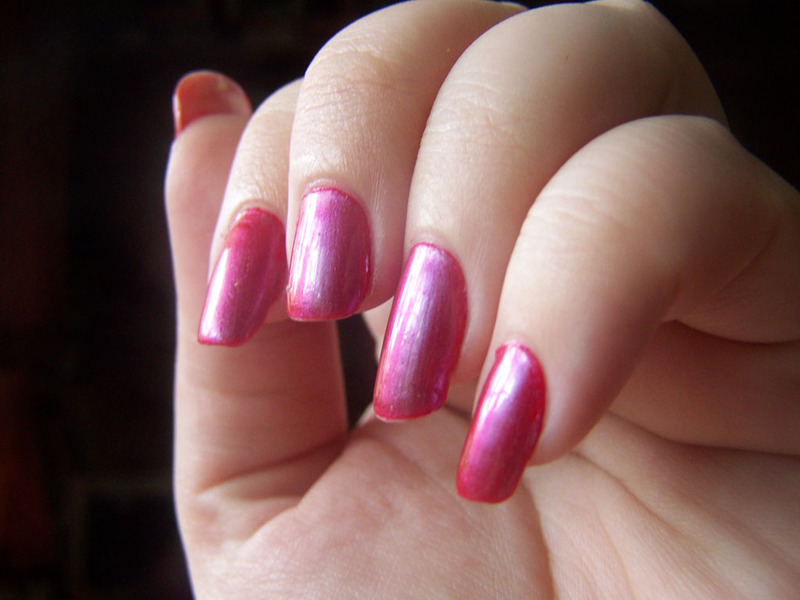 This is actually two colors, a semi-opaque red with a really tiny shimmer, and a rosy duochrome layered over it. At certain angles or lighting conditions, it shines pink, blue or lilac. On its own, it’s an odd color, but it is beautiful over this red. You can see some of the other colors here. Kind of. 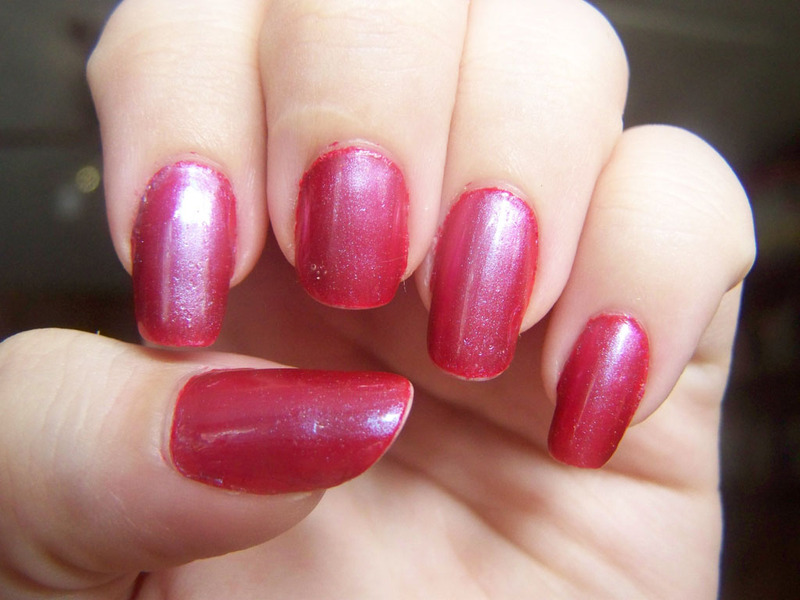 Having red nails always reminds me of being in Rhode Island with my mother and my grandparents. My mother’s cousin, I think it was, was a nail tech and gave us manicures at least once. 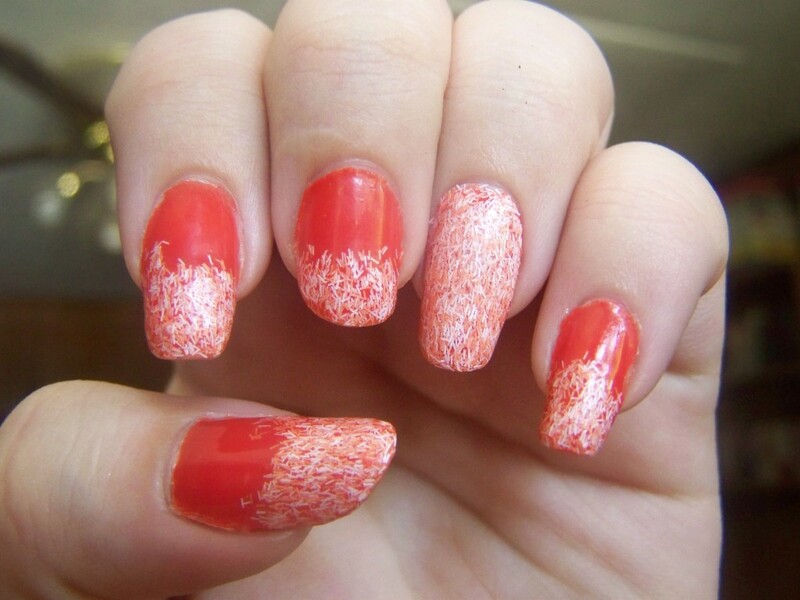 Actually, now that I think back on it, this was one of my earliest experiences with nail art. 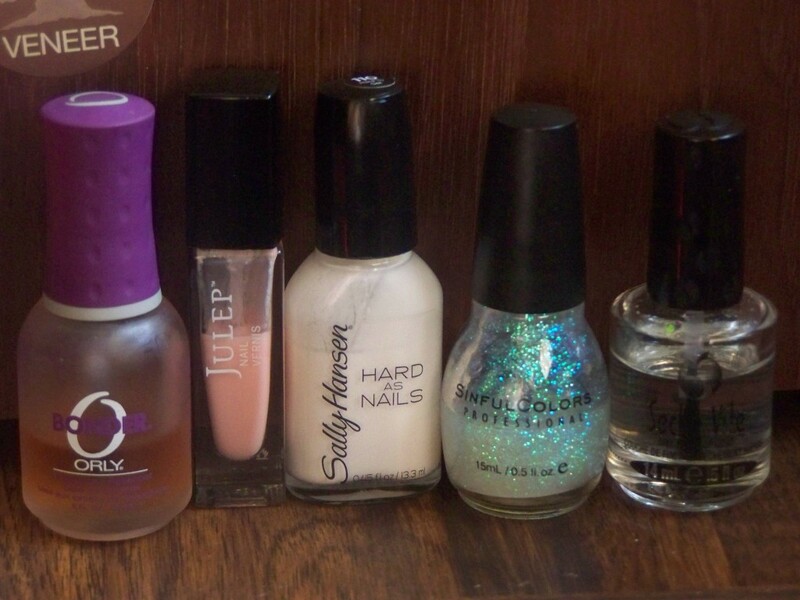 At some point, she gave us a manicure set, one complete with polishes, tools, fillers and fortifiers. 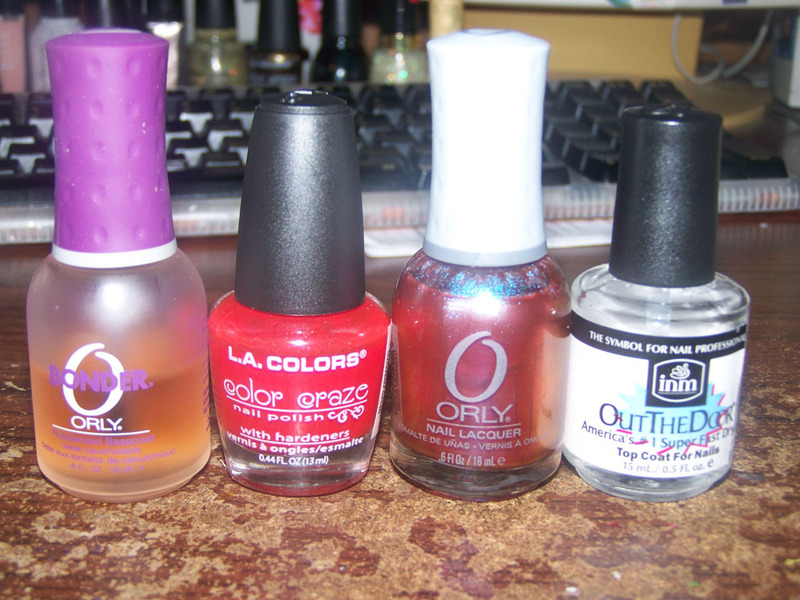 I remember most of the colors being sheer, pretty neutrals, except for a bold red. 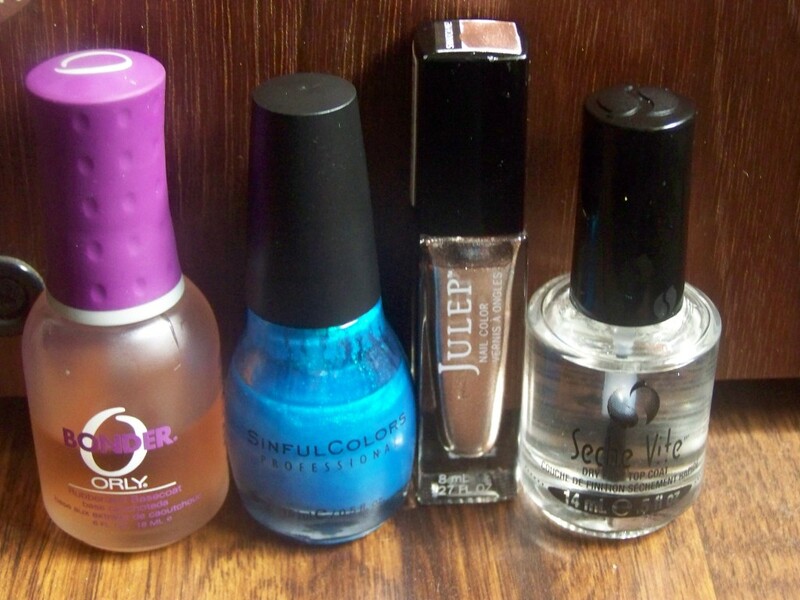 That’s the one I went for, and even though I remember thinking that red was old and busted (blue polish was the new hotness and that was all I cared about wearing), I loved the way it looked on me. 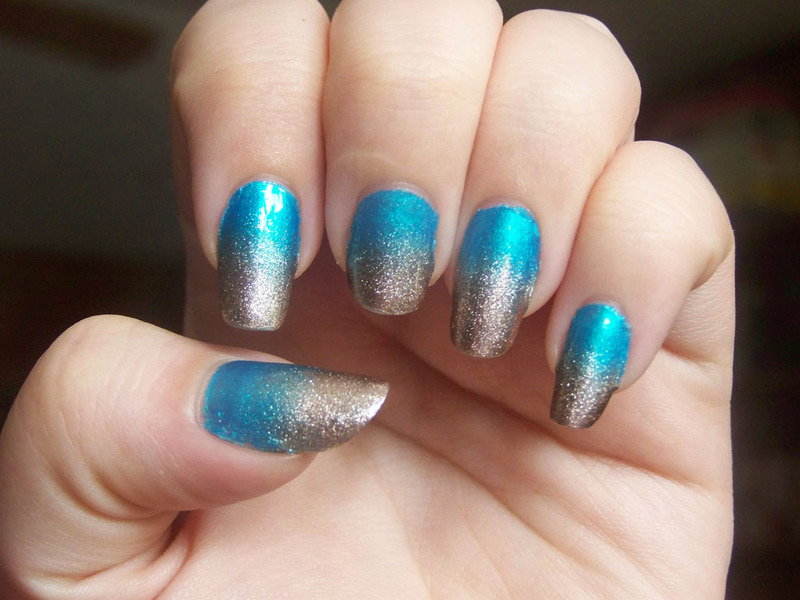 It was noticeable, attention-getting, it spoke volumes from my small nails and short fingers. Ever since then, there’s always been something about red nails that I can’t get enough of.